RAD is the latest game from developer Double Fine Productions and publisher Bandai Namco. Earlier today during the Nintendo Nindies Showcase, Double Fine Productions announced their latest game, RAD. With publisher Bandai Namco at the helm, RAD is scheduled to release later this summer for PlayStation 4, Xbox One, PC via Steam, and Nintendo Switch platforms. For gamers eager to scope out the game early, a Closed Beta for RAD was also announced. RAD is scheduled to release later this summer for PlayStation 4, Xbox One, PC via Steam, and Nintendo Switch. 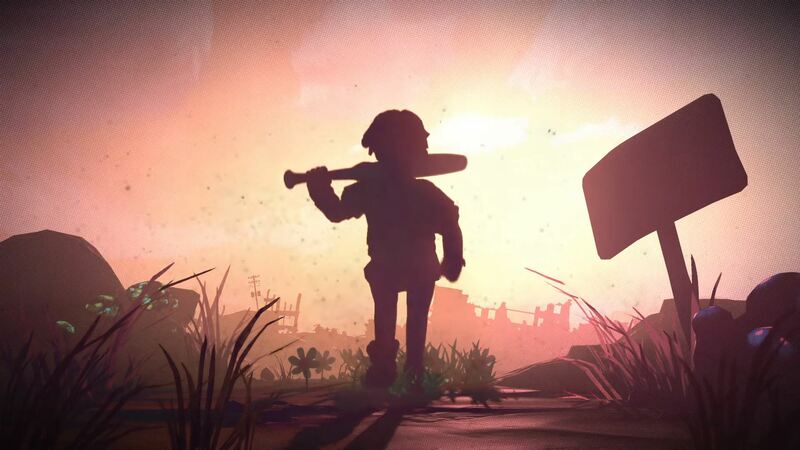 Announced during the Nintendo Nindies Showcase, RAD is touted as a top-down roguelike title where you help guide a boy through a post-apocalyptic wasteland full of monsters. Boasting a colorful retro style reminiscent of the late 80s and early 90s, RAD is definitely an eye-catching game. One of the masterminds behind RAD is Lee Petty who’s worked on other Double Fine titles like Headlander and Snowblind. You also have Tim Schafer, who helped announce and hype the game. In the teaser trailer, various enemies are shown along with strange attack powers based around character mutations. In addition to these mutations, you can also wield a bat to smack enemies around for more direct combat. While there’s currently no exact release date, Double Fine noted the game is slated to release later this summer for PlayStation 4, Xbox One, PC via Steam, and Nintendo Switch. Want to try the game out ahead of time? A special Closed Beta was also announced for RAD. To sign up, head over to Bandai Namco’s website and input your info. Note that you’ll be asked things including your experience with roguelike titles, whether or not you have a dedicated GPU, and why you’re interested in participating in the Closed Beta. After checking out the announcement trailer, what are your thoughts on RAD? Are you eager to play the latest roguelike from Double Fine Productions, or will you wait until more information is released? Let us know down in the comments below!